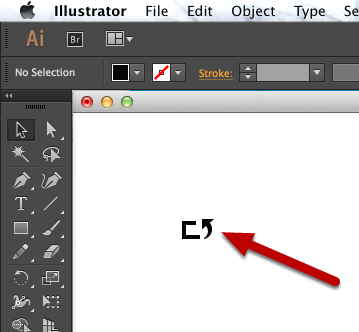 This article will show you how to get the appropriate SVG path data for a vector shape created in Adobe Illustrator. When you select the shape Illustrator will tell you if it is a compound path. In this example, the shape is a Group. We need to convert this to a compound path first. 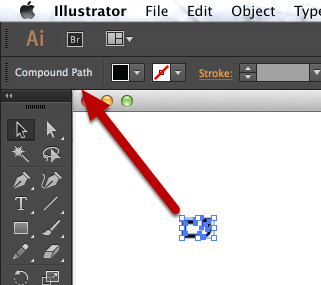 Use the Object > Compound Path > Make menu option to convert the shape to a compound path. The shape is now a compound path. 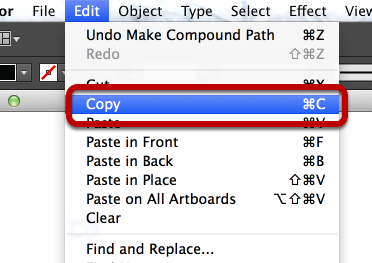 Now use Edit > Copy to copy the shape to the clipboard. Illustrator will copy the SVG data. Paste the clipboard into a text editing application. Then copy the d="" value. 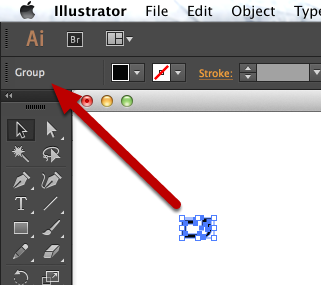 In the SVG Icon inspector paste the path info into the iconPath property and press Enter. Your icon will then appear. 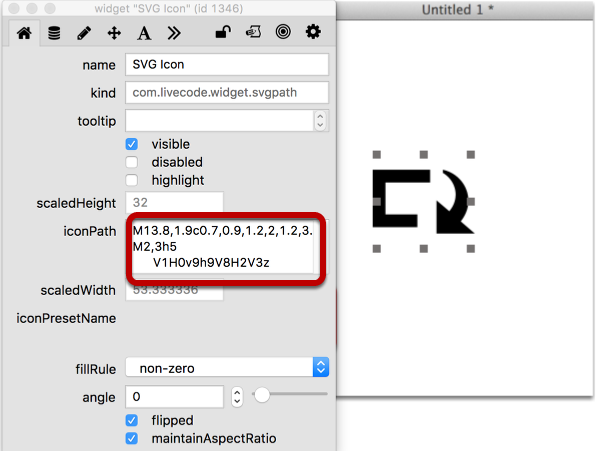 The SVG path data from Font Awesome needs to be flipped in order to be displayed correctly. The path data from Adobe Illustrator does not. Uncheck the flipped checkbox so that the icon displays correctly. You mention in the tutorial that SVG path data from Font Awesome needs to be flipped to be displayed correctly. 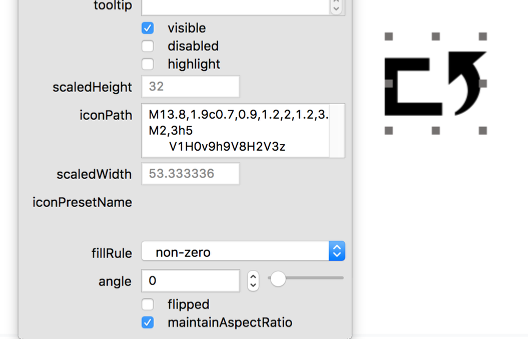 I’m curious, how do you get the SVG path data from a Font Awesome character? If you download Font Awesome from http://fortawesome.github.io/Font-Awesome/ you will find a fontawesome-webfont.svg file in the "fonts" folder in the distribution. That has the SVG paths for all of the fonts. is it not working becasue the original was an PNG and saved and re-opened as SVG ? When you base64Decode that data it looks like it is still PNG data rather than an SVG path. 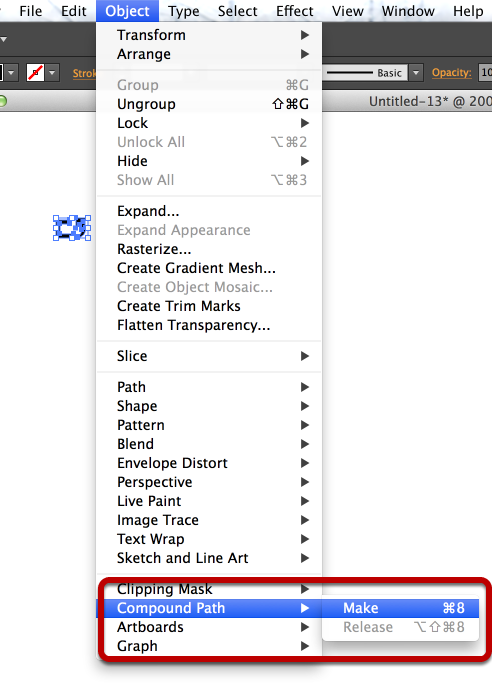 This post suggests using the tracing option in Inkscape. No, this does not work. Copied compound path in illustrator, nothing on clipboard. I just did a quick test here and it seems to depend on the app you paste into. A plain text TextEdit document or Sublime Text worked for me. You could also Save As an SVG file from Illustrator, open the SVG file in a text editor and get the path data from there.